What kind of bread is low carb & keto diet friendly? Take your pick from these 21 keto bread recipes! Make magic happen with almond flour, coconut flour, Fathead dough & cream cheese to create low carb versions of your favorite must-have bread! 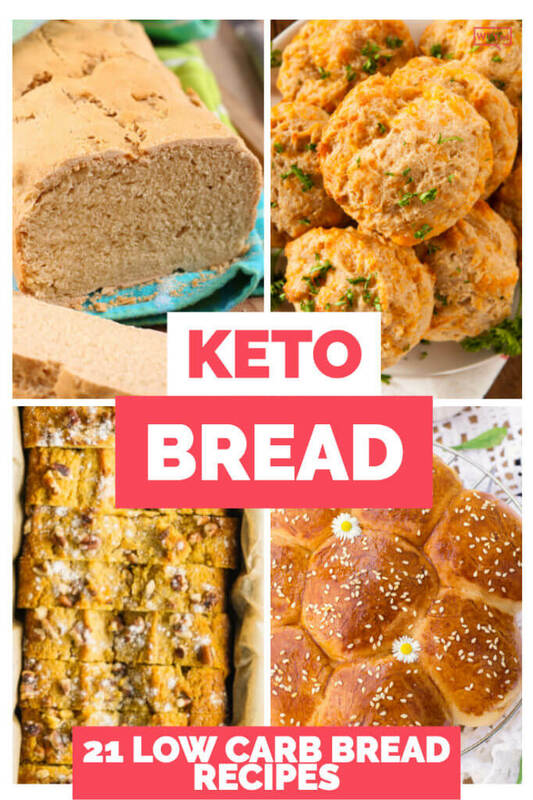 From keto bread for sandwiches to low carb hamburger buns, dinner rolls, microwave cloud bread & keto bagels this collection of keto bread recipes has all your cravings covered! Bread. Whether it’s in the form of sandwich, biscuit, bun, or cornbread bread has been an American diet staple for centuries and a huge NO on the keto diet. Until now. Here’s the thing, as the popularity of the keto diet increases so does the number of amazing low carb recipes, and bread, I’m happy to say is included! Is anyone else horrified? 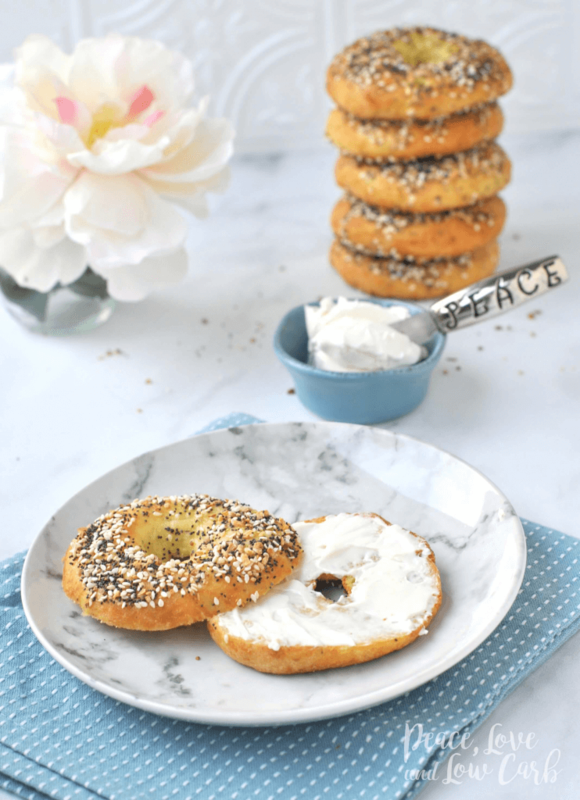 One bagel-a plain Jane bagel-has an entire day’s worth of carbs plus a few! Don’t be intimidated by the thought of making your own keto bread! Most low carb bread recipes are super simple and easy even if you’re a keto or kitchen beginner! We’re talking make it in the microwave simple, folks. I’ve experimented with a ton of keto bread recipes over the years-from Fathead dough to keto bagels and biscuits there’s a recipe for pretty much every type of bread known to man & woman. Here’s 21 of my all-time favorites! Don’t Miss These Keto Recipes! Save These Keto Bread Recipes! For even more low Carb Food Inspiration follow my Keto Recipes Board!